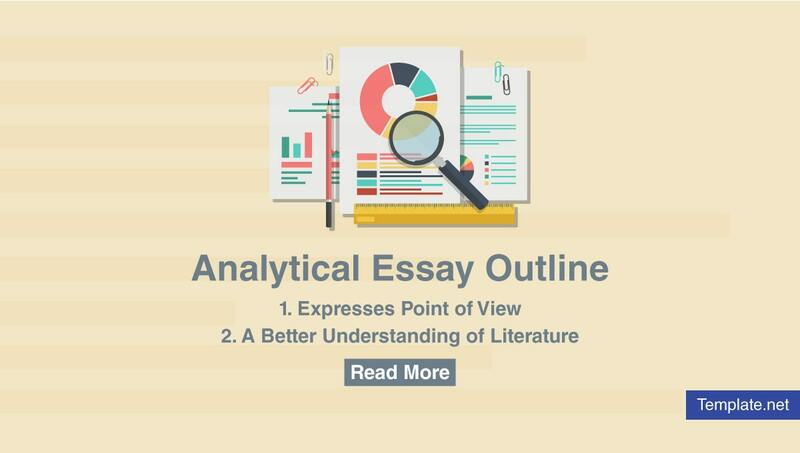 An analytical essay is a kind of essay that examines a piece of literature. It requires breaking down parts of it to get its meaning and message. Analytical essays are written to understand the piece of literature better than when it is read for the first time. It helps in appreciating literature even more. Writing an analytical essay requires a lot of concentration and research. It is way different from a summary of a book report, as this one just sums up the events and the characters. An analytical essay aims to persuade the reader on your views on the piece of literature. In writing, you have to provide claims and facts to support them. This would leave no question in the mind of your readers. By breaking down the parts, it helps you see the bigger picture. Before writing the analytical essay, decide on what to review about. A poem or a play would be good. A novel is an even better piece to review for this kind of essay. The introduction, body, and conclusion can still be broken down into parts. An outline has to be made first prior to the writing stage. 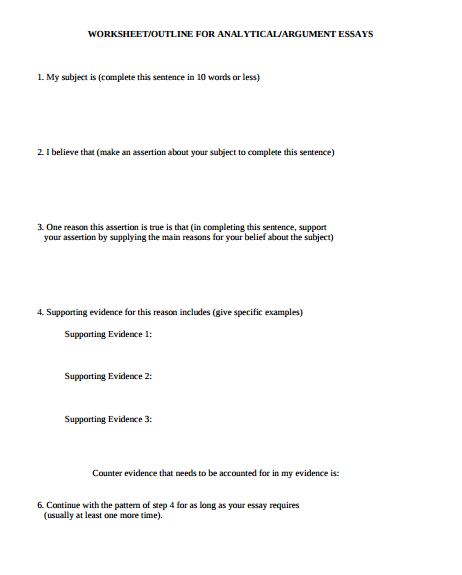 Your essay will be more organized using this format. Here, we have broken down how to write each part of the essay. The introduction kick-starts the whole essay. This will get the readers’ interest in reading the whole essay. Your hook should be as interesting as it can get. Start the intro with a quote or a juxtaposition between two ideas to make it controversial. Another way of starting the introduction is by giving statistics that support the essay. Next on the list is the thesis statement. This is the part where you show your point to the readers. It tells them what to anticipate in the succeeding paragraphs. The thesis statement should be written carefully. This serves as the subject and the vantage point of the whole essay. The thesis statement can also be your claim on the topic and should spark an argument. After introducing the thesis statement, a proof of it should come next. Always have backup information on your thesis statement. It’s very useless without it. Readers would question your claim on the topic if you don’t have the necessary information to support it. Together with the thesis statement, these are the building blocks of the essay. All the arguments and the additional facts are written in the body. For a more organized structure, you can begin by writing a topic sentence. This identifies the main idea of the paragraph. The topic sentence is followed by a claim that supports it. Connect the claim to the topic sentence to make a cohesive paragraph. A good three to five paragraphs can be written for the body. Be specific in stating your main points and arguments. The conclusion wraps up the whole essay. It gives the readers a sense of closure and completeness. Conclusions have to be short and should sum up all the ideas from the introduction. Writing analytical essays is draining and mind-boggling. It challenges you to carefully examine the parts of the literary piece and find some light in them. While it may not be easy to come up with one, it comes with some sweet rewards. If practiced in a span of time, these benefits will help you become a better writer. Analytical essays help you express your point of view on a certain piece of literature. These point of views go beyond the literary aspect. It can touch life’s realities and experiences. Expressing a point of views helps you flesh out stories you experienced yourself and have a connection with your readers. Literature is the mirror of human life. It tackles several aspects of the human nature and how it affects the behavior of humans as well. Literature tells the harsh realities of life in a fictionalized way. It makes us reflect on the things happening around us. Analytical essays provide a better understanding of the literature. On the surface, it gets appreciated for its gripping plot and connectivity to the human experience. But beneath it is a well-placed art of interweaving life lessons and good fiction. This kind of essay makes you see that there’s more to it than a story being told. Writing skills get to be honed and sharpened with analytical essays. It challenges you to write something argumentative and factual by using simple words and a whole lot of research. The words you use don’t have to be deep. You just have to be careful of the ones to use and be specific in getting your point across. There is no perfect formula for writing a perfect essay. It needs constant practice and persistence. Your first draft is far from perfect. The second one may be too flawed. Do not lose the drive to practice and be willing to learn. Over time, your writing skills will surely improve. If you think you don’t have the skill to give and present arguments, then this kind of essay is the perfect avenue. Analytical essays train you to give logical arguments based on facts. Sure, it may be questioned by some. But the good thing is you can prepare for answers and give it anytime. The critical thinking is sharpened with analytical essays. It enables you to scrutinize some arguments that you may have missed. It also allows you to develop a more careful nature in giving out arguments and making your own. 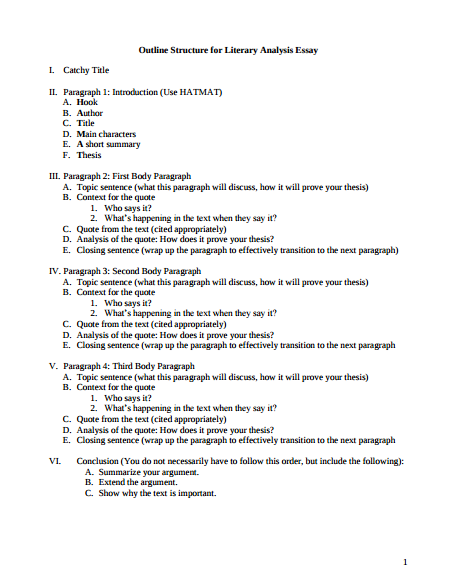 We hope this information on analytical essays is helpful. Read up on some articles on our website to know more about essays and outlines. Keep writing!